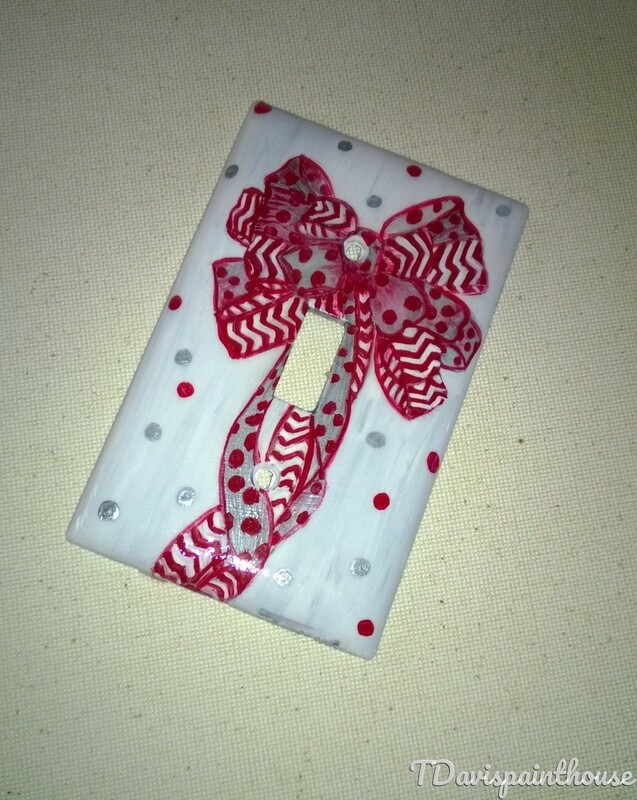 Hand painted Unique Holiday light switch wall plate featuring a Red, Silver and White Wrapping Paper Bow with Chevron and Polka-Dot design. Shown here on a Single Toggle Light Switch Plate. A variety of sizes are available and Made to Order upon request. Each plate is made of an unbreakable nylon plastic material. The design is hand drawn and hand painted with professional grade acrylic paints and sealed with a high gloss finish to ensure durability, protection and a smooth glass-like appearance. Custom Orders ^ If you like the design but would prefer it in a different color or wall plate size message me with your request. Allow 1-2 weeks studio time for custom orders.